The Dayton Python Workshop for women and their friends is a free, friendly, hands-on, beginners' introduction to computer programming. The workshop is designed for true beginners to programming - absolutely no experience is assumed. The primary target audience is women of all ages and backgrounds. Men can participate as the guest of a female attendee - that's where the "women and their friends" part comes in. If you're a man who wants to take part, ask a woman you know to join you. Don't underestimate the power of a personal invitation - you'll never know which of your friends just needs a nudge to try it until you give her that nudge. We're also planning a gender-unrestricted iteration of the workshop in a few more months. The first Dayton Python Workshop has been scheduled for April 5-6 (Friday evening and Saturday) at New Horizons Dayton, 1890 Commerce Center Blvd, Fairborn, OH. The workshop is free, but registration is required and space is limited! Please register now at meetup.com. Write Catherine with any questions! Registration for workshop #1 is already full! Don't worry, there will be more workshops soon! If you're interested, please sign up anyway; you'll go onto a mailing list and automatically get a spot if anyone needs to drop out, or you'll get first dibs on our next workshop. The class materials (still in progress!) are available here, but we'll provide them on CDs or USB at the workshop itself. When you arrive, open up the beginning instructions in Windows, Mac OS X, or Linux. Friday evening, April 5, 6-9 PM: Set up everyone's laptop to run Python programs, then go through self-paced tutorials (with each other's help) on the very basics. Saturday morning, April 6, 9:30 AM: Mix of short lectures and self-paced work to flesh out your knowledge. Saturday afternoon: Do a real programming project! Finish up by 4:30. Afterward: Join the Dayton Dynamic Languages User Group for Project Nights, where you can continue your work on projects that interest you and keep learning from other programmers. The workshop's format and materials were pioneered in Boston, and since then workshops have spread to Indianapolis, Columbus, Portland, Chicago, Kansas City, and now Dayton. It's a proven series that has successfully brought programming skills (and a lot of fun) to hundreds of women all across the country. Show new programmers and the Dayton Python community examples of smart, confident, capable programmers of all backgrounds. join us on the OpenHatch events list, where this and other workshoppers meet to share and plan outreach events. The workshop is being led by Catherine Devlin, a veteran of the Indianapolis and Columbus Python Workshop and a founder of the PyOhio Python programming conference. We're still looking for assistant teachers, so write Catherine if you've got a passion for code and a love for the community. Thanks to Dang Griffith, a local Python programmer, for providing food for workshop attendees! 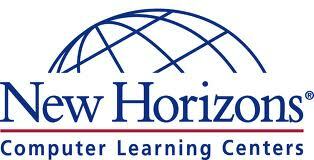 Thanks to New Horizons Computer Learning Center of Dayton for providing their facility for the workshop! Would you like to sponsor the workshop? It's a great way to let the community see your organization's commitment to the growth and future of the technology industry. Ask us about how you could help provide lunch, a venue, publicity, or other help. The workshop is presented by [PyOhio], and donations will be tax-deductable. This page was last edited on 1 April 2013, at 04:47.